A Madras High Court bench comprising Justice S. Manikumar and Justice V.M. Velumani has quashed the Bar Council of India’s decision to relax the age limit for three year law course, by holding that BCI amended clause 28 under schedule-iii to rule 11 of the Rules of Legal Education, 2008 without following the procedure. The Court also directed the Registrar, Tamil Nadu Ambedkar University, Chennai, to issue a fresh notification, extending the time for admission to three year law degree course, in Tamil Nadu Ambedkar University, Chennai as well as other Government Law Colleges, for the academic year 2015-16. This was on the basis of other Writ Petition challenging admission notifications without age restrictions. Read the LiveLaw story here. The Court was hearing a Petition filed by Mr. B. Ashok, a practicing Advocate of Madurai Bench of the Madras High Court. Up to the academic year 2008-2009 there was no upper age limit for admission to the three year B.L.degree course. An upper age limit of 21 years was prescribed for admission to the 5 year integrated B.L.degree course. However, this age limit was not applicable to candidates belonging to SC/ST community. In 2008, the Bar Council of India framed the Rules of Legal Education, 2008. Clause 28 of Schedule III of the Rules of Legal Education, 2008 stipulates the age limit for admission in 3 year and 5 year law courses. As per these rules, the maximum age for seeking admission into a stream of integrated Bachelor of Law degree programme (which is of 5 years duration), the age has been limited to 20 years in case of General category applicants and 22 years in case of applicants belonging to SC, ST and Other Backward Communities. 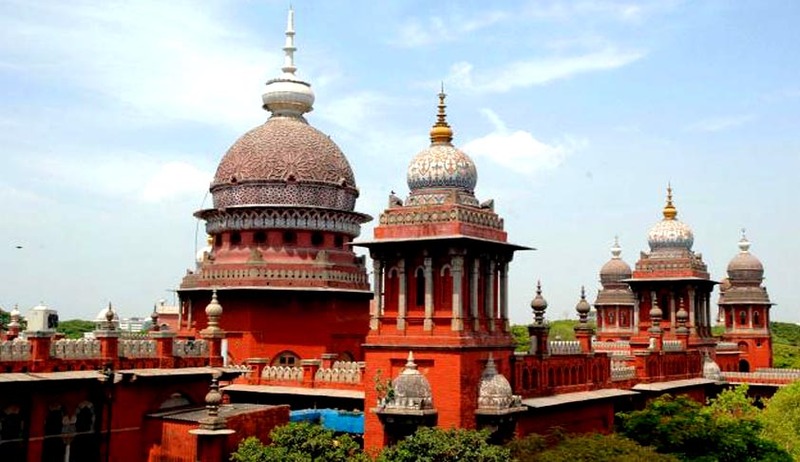 Subsequent to the Bar Council of India's Rules of Legal Education, from the academic year 2009-2010 upper age limits have been prescribed for admission to the 3 year law degree course and the 5 year law degree course in Tamil Nadu. A three member committee was formed by the Supreme Court in Bar Council of India v. Bonnie FOI Law College and others, SLP No. 22337 of 2008. The Committee had submitted its report on October 6, 2009, in favour of upholding the Rules of Legal Education, 2008. This was accepted by the Supreme Court. However, the newly elected Bar Council members, without considering the history and background, as to how, the Rules of Legal Education, 2008, were incorporated in the Bar Council of India Rules appointed Mr. S.Prabakaran, as One Man Committee, to re-consider the age restriction clause, incorporated in Clause 28 of Schedule III of the Rules of Legal Education, 2008. Mr. Prabakaran recommended the deletion of the clause, observing that the age restriction violates Article 14 of the Constitution of India. The Bar Council of India hence withdrew Clause 28, Schedule III of the Rules of Legal Education, 2008 by passing a notification, dated 28.09.2013. On 09.08.2013, the Bar Council of India took two decisions regarding Legal Education Rules and role of the Committee. In Resolution No.173/2013, the Bar Council of India took a decision to place the report of the inspection reports before the Legal Education Committee, on the ground that the power to grant or refuse approval of law colleges lies with the Legal Education Committee and the resolution of the Bar Council of India shall be placed before the Legal Education Committee for ratification. However, BCI accepted the report of Mr. S.Prabakaran, Member, without any consultation with the Legal Education Committee of the Bar Council of India. The Court hence quashed the notification of the Bar Council of India dated 28.09.2013. It also quashed the admission notification of the Registrar, Dr. Ambedkar Law University, Chennai, dated 04.06.2015, insofar as three year degree course is concerned.